[News Release - Belfast, Northern Ireland, 24 February 2011] Introducing Biosuite and Emotional Response Cinema, a new kind of cinema experience in which audiences’ emotions are detected electronically to control the content they are viewing. Biosuite will be demonstrated for the first time next month with a world-first media event. Biosuite is an experimental technology at the centre of ‘Emotional Response Cinema’, in which the film content is varied according to the current emotional state of the audience. Biosuite will be demonstrated for the first time in live, public experiments on 13 March 2011 in Texas, US, and on 10, 11 and 12 April in Belfast, UK. Biosuite is the world’s first cinema experience to respond to the aggregated emotions of a crowd. The first-look experiments will include the premiere of Unsound, a short film specially commissioned for Biosuite, with variable scenes, music and sound. Limited places are available to be wired-in to Biosuite at the live US and UK first-look experiments (registration details below). Biosuite is a collaboration between Filmtrip (media production), BioControl Systems (technology and software development) and the Sonic Arts Research Center at Queen’s University Belfast (research). Introducing Biosuite, an experimental marriage of technology, content and scientific research that delivers a new kind of film viewing experience, in which the film content varies according to the emotional responses of the audience, detected by a discrete hand sensor. Biosuite is a collaboration between Belfast-based production company Filmtrip, San Francisco-based technology company BioControl Systems, and the Sonic Arts Research Center (‘SARC’) at Queen’s University Belfast. Biosuite is a unique system that lets the viewer interact with the film. With the hand sensors connected to the audience, each person’s heart rate (‘ECG’) and skin response (‘GSR’) are measured. The resulting signals are sent to the Biosuite system to determine the audiovisual experience. This manifests itself by varying the scene selection, music score and sound effects. Biosuite offers a unique and personal cinema experience, delivering a memorable event for the audience, making them part of the film, and letting them influence the unfolding story. The technology will be demonstrated publicly for the first time in a groundbreaking live experiment at 11.00 a.m. on Sunday 13 March, at the Ritz Cinema in Austin, Texas (address & map below), as part of the South by Southwest festival. A selected group of media and technology professionals will be connected to the Biosuite system as they become the first to watch Unsound, an intense short film specially produced, by Filmtrip, for the new medium of ‘Emotional Response Cinema’. The screening will be followed by a panel discussion entitled Plug In And Go Deep (details below), about the Biosuite project and the future of Emotional Response entertainment. The US experiment will be followed by a screening at the Sonic Laboratory at SARC, as part of the Belfast Film Festival (address & map below) at 7.30 p.m. on 10, 11 and 12 April. This will exploit the extraordinary potential of the Sonic Laboratory’s immersive 360º sound diffusion system, that boasts the world’s only 48.1 surround-sound system. This provides a three-dimensional sound field to deepen the audience experience. One additional ‘wired-in’ seat will be reserved for a randomly selected person, at each of the first-look experiment events in Texas and Belfast. The winner will be announced nearer the date. NOTE: To register for a limited place, to be wired-in to Biosuite at the Premiere screenings of Unsound, email biosuite@filmtrip.tv and specify your availability for the US (Texas - 13 March) or UK (Belfast - 10, 11, 12 April). Supported through the Creative Industries Innovations Fund. 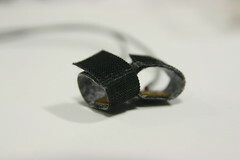 Image 1: Close-up of the finger sensors. Image 2: Sensors wired-up to an audience member. Image 3: ECG & GSR readings captured on screen. Image 4: Screen grab of Stella McCusker from the interactive short horror film ‘Unsound’. Image 5: Audience front row in system tests. Biosuite is the name of the project conducted collaboratively by Filmtrip, BioControl Systems, and SARC. Biosuite is an experiment in Emotional Response Cinema, bringing together the disciplines of film production, music composition, environmental art, technology, and engineering to research ‘future cinema’ and the ever-increasing demand for audience interactivity & immersion in the audiovisual experience. Small attachments to the audience member’s hands pick up ECG (Electrocardiogram) and GSR (Galvanic Skin Response) signals, that are processed by computer programs to gauge the emotions of the audience member throughout the viewing experience. The viewing experience is then adapted in response to the emotional readings, by presenting changes in audiovisual content. The system can also be used for testing new products and content, such as studio test screenings. Audience reactions to early versions of products and content can be gauged to potentially provide more valuable data than conventional audience questionnaires. The project is at a stage where initial research is complete and the new film is ready to be tested on public audiences. Development work is underway to build a working prototype that could be released in the coming months. The eventual goal is to offer an affordable, ergonomic solution for the consumer market. Beyond cinema, possible opportunities for this product exist across a wide range of media and lifestyle channels, including TV and gaming. A boutique production company specialising in film and TV cross-platform productions, mobile app development and online media. Based in Belfast, Northern Ireland, Filmtrip’s founders, Gawain Morrison and Chris Martin, are experienced multimedia producers. Learn more about Filmtrip and its founders at filmtrip.tv/about. For over 20 years BioControl has been in the bionic interface business. They specialize in bio-signal driven control of graphics and sound. The Sonic Arts Research Centre is an established centre of excellence dedicated to the research of music technology, SARC is a unique interdisciplinary environment which has united internationally recognised experts in the areas of musical composition, performance, signal processing and Human Computer Interaction. The Centre is established in a purpose-built facility located alongside the engineering departments of Queen’s University Belfast. SARC’s centrepiece, the Sonic Laboratory, provides a unique space for cutting-edge initiatives in the creation and delivery of music and audio. The Sonic Laboratory’s uniqueness is vested in the degree of flexibility it can provide for experiments in 3D sound diffusion and for ground-breaking compositional and performance work within a purpose-built, variable acoustic space. ‘Whatever you heard it’s just a state of mind’. Starring Stella McCusker and Richard Dormer. Directed by Belfast-born director N.G. Bristow. Produced by Gawain Morrison and Chris Martin. Written by horror feature-film writer Spencer Wright. Experience Emotional Response Cinema, as film and technology collide to take the audience on a sensory trip through a short horror film. Selected seats will monitor pulse rate and galvanic skin response and will trigger subtle changes to the unfolding story - both audio and visual. Sit back, plug in and join the besieged Sarah as she descends to a dark place in the presentation Unsound. Produced in collaboration with the Sonic Arts Research Centre, and Supported through the Creative Industries Innovations Fund, and N.Ireland Screen.